oil paint on canvas, shown courtesy Chessé Arts Ltd.
Collector John Goodwin guest curates Upfor’s third anniversary exhibition, including work from his and Michael-Jay Robinson’s collection in conversation with work selected for the occasion. Briefly surveying changes in depiction of black culture in America over the last 100 years, the exhibition begins with abstract expressionist collage depicting economic strive in Goodwin’s home state of North Carolina, and extends to a young physician/photographer of Black/Korean descent who captures powerful and poignant images of today’s black culture. Romare Bearden (b. 1911, Charlotte, NC; d. 1988, New York, NY) was a writer and artist renowned primarily for his collages depicting lives of African Americans. 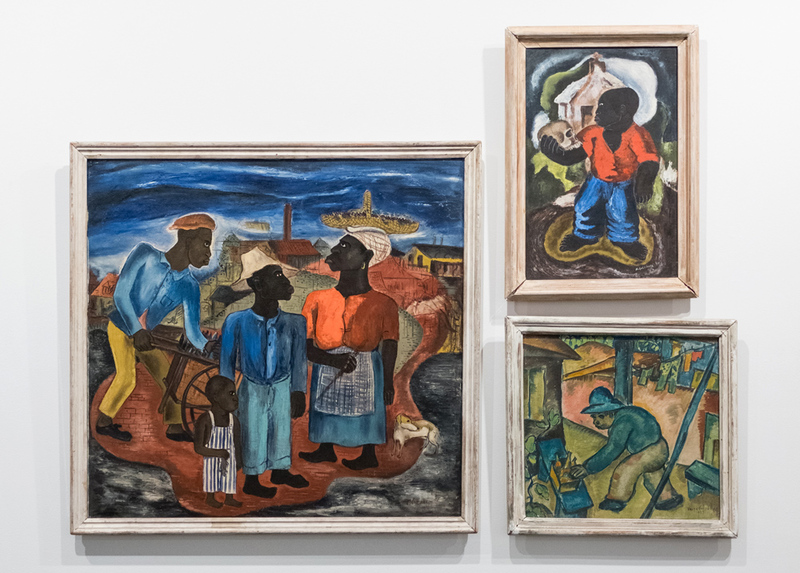 His work appears in many public collections, including the Metropolitan Museum of Art, Museum of Modern Art and Studio Museum in Harlem. He was a founding member of the Studio Museum in Harlem and the Black Academy of Arts and Letters. Shown courtesy Augen Gallery. Marian Carrasquero (b. 1993 in Caracas, Venezuela) is a documentary photographer who immerses herself in long-form stories relating to youth, race, gender and other social issues. She attended Speos Paris Photographic Institute in 2011, earned a BFA in photography with a minor in creative writing from the Savannah College of Art and Design and attended The Eddie Adams Workshop in 2015. She is currently based in Miami, Florida. Ralph Chessé (b. 1900, New Orleans, LA; d. 1991, Ashland, OR) was an actor, artist and professional puppeteer. Chessé was largely a self-taught artist. Living for many years in San Francisco, his work was included in exhibitions at the Oakland Art Gallery (now the Oakland Museum of California) and the de Young Museum, and a solo exhibition of his work was mounted at the San Francisco Museum of Modern Art. Shown courtesy Chessé Arts Ltd.
Kris Graves (b. 1982 in Queens, NY) is a photographer and video artist based in New York City. His work explores and re-conceptualizes contemporary black male experiences in America through portraiture and storytelling. He collaborates with his subjects in order to capture how they perceive themselves. 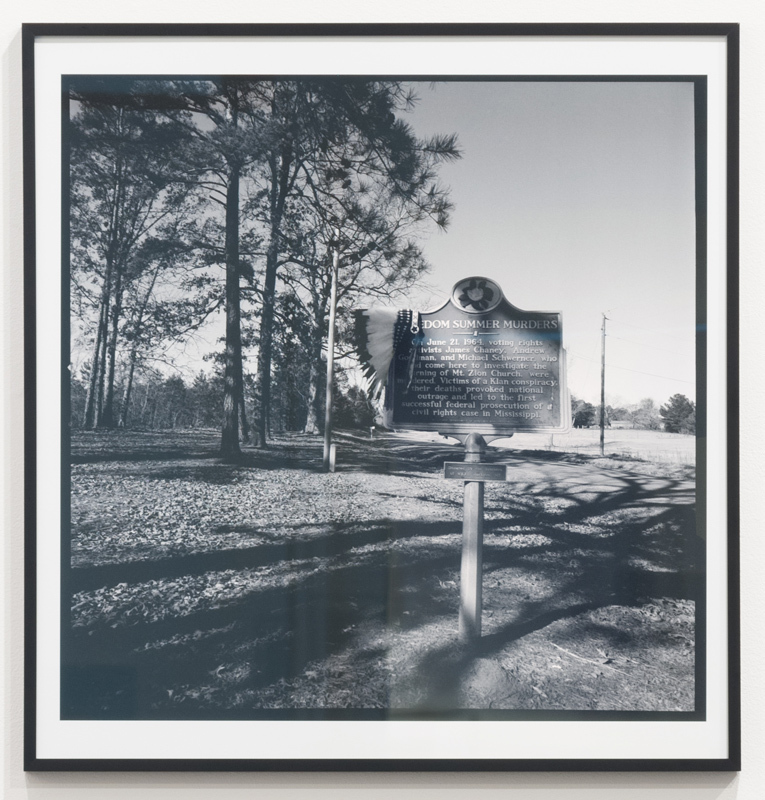 Graves is also the collections photographer and studio manager at Guggenheim Museum and an adjunct professor at Parsons school of Design. Zig Jackson (b. 1957 on the Fort Berthold Indian Reservation, ND) is a photographer whose work explores questions of cultural identity, representation and appropriation. His work is both provocative and educational, seeking to demythologize his cultural heritage and confront prevailing stereotypes by documenting everyday life experiences of Native Americans. Shown courtesy of Andrew Smith Gallery. Zun Lee (b. 1969 in Frankfurt, Germany) is a Toronto-Based photographer, physician and educator. His work capturing quotidian black life has been published in the New York Times, The New Yorker and TIME. Through his project Father Figure, Lee places the stereotype of the absent black father into a broader context of black masculinity. Lee received his MD from Goethe University in Germany, his MBA from McMaster University School of Business in Ontario, Canada, and studied photography at the Magnum Foundation and Brown Institute of Media Innovation in New York. Glenn Ligon (b. 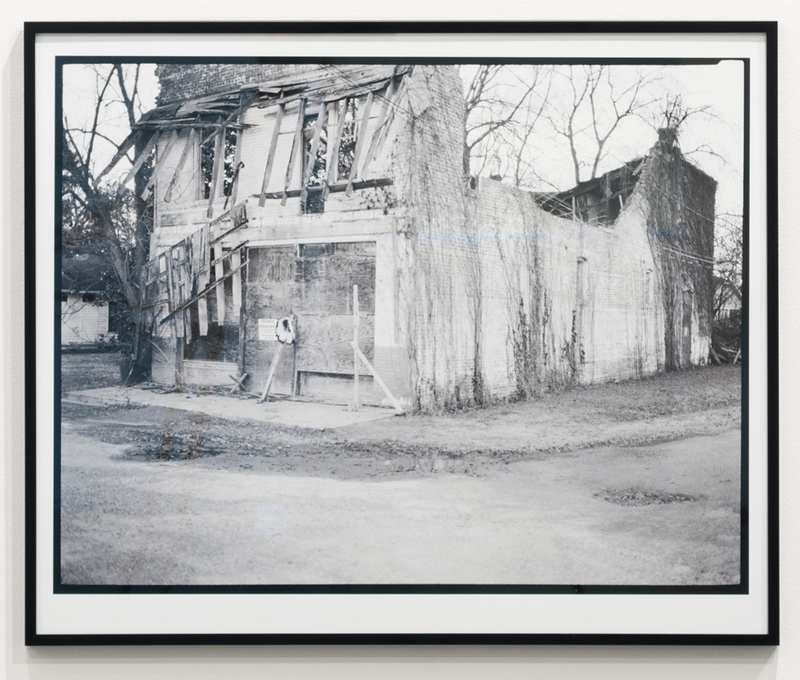 1960 in The Bronx, NY) uses text-based conceptual art to explore ideas or racial identity, sexuality and violence. He draws from the writings from an array of literary icons, recontextualizing their words within his neon art and hand-stenciled paintings. 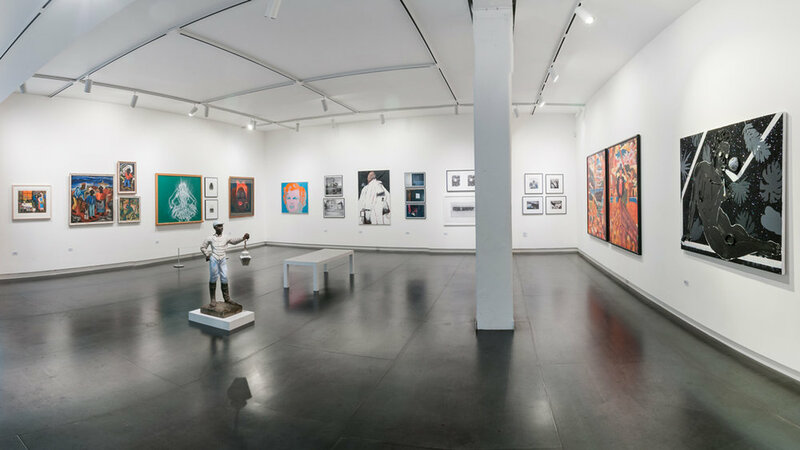 Solo exhibitions include those presented by the San Francisco Museum of Modern Art, the Studio Museum in Harlem, and the St. Louis Art Museum. Shown courtesy Greg Kucera Gallery, and loaned from the collection of John Goodwin and Michael-Jay Robinson. Marion Post-Wolcott (b. 1910 in Montclair, NJ; d. 1990, Santa Barbara, CA) was a documentary photographer, best known for her works taken for the Farm Security Administration (FSA) during the American Great Depression. Her works published by the FSA familiarized the public with the plight of the rural underprivileged, in addition to documenting the wealth inequalities and race relations. Loaned from the collection of John Goodwin and Michael-Jay Robinson. Michael-Jay Robinson (b. 1950 in San Francisco, CA) is an artist and collector based in Portland, Oregon. Robinson moved to rural southern Oregon at an early age, where he began painting and drawing, then to Portland in the 1970s. Working as a fashion model allowed him to live in London, Brussels, and Hawaii before settling in Portland in the mid-90s. Exhibitions of his work have been held throughout the United States, including in Honolulu, Hawaii; New Orleans, Louisiana; La Jolla, California and Portland, Oregon. He has worked as an independent artist since 1999. 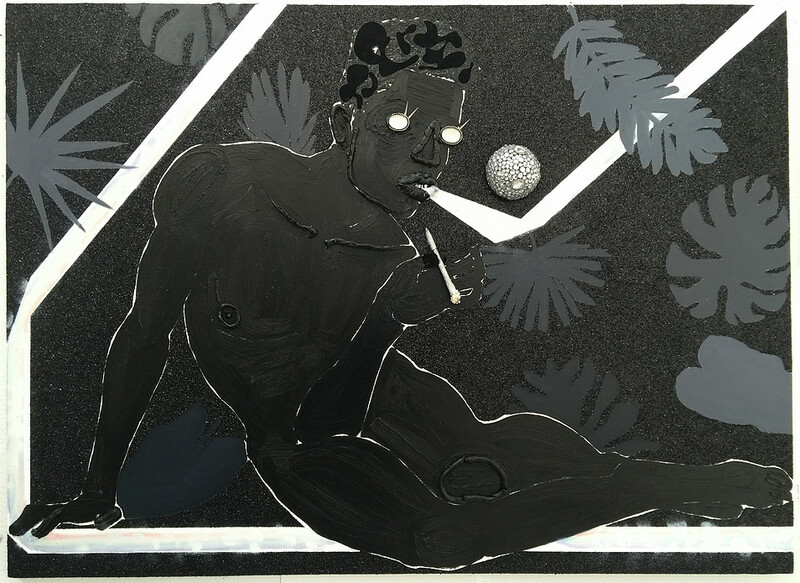 Devan Shimoyama (b. 1989 in Philadelphia, PA) is a Pittsburgh-based painter and photographer. He uses his body as a medium, examining the concept of identity as decoration through layers of color, costume and narrative. A graduate of Penn State and the Yale University School of Painting, he recently participated in the Fire Island Artist Residency and holds a teaching position at Carnegie Mellon University. Photographs shown courtesy of Samuel Freeman Gallery and painting courtesy John Goodwin and Michael-Jay Robinson. Gary Simmons (b. 1964 in New York, NY) typically uses text or architectural drafts as the subject in his paintings, drawings and prints, often smeared in ways that evoke movement. They take on received notions of gender, race, class, and other social markers of identity. His work has appeared at the Whitney Museum of American Art, Chicago’s Museum of Contemporary Art, the Hammer Museum at UCLA, and the Museum of Modern Art, among others. Shown courtesy Tamarind Gallery, University of New Mexico and loaned from the collection of John Goodwin and Michael-Jay Robinson. Arvie Smith (b. 1938 in Texas) is a painter, muralist and educator. 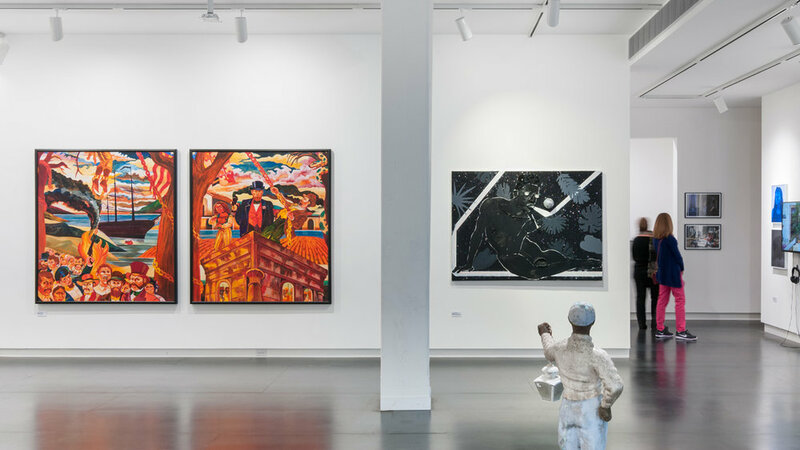 His paintings are commonly of psychological images revealing deep sympathy for the dispossessed and marginalized members of society in an unrelenting search for beauty, meaning, and equality. 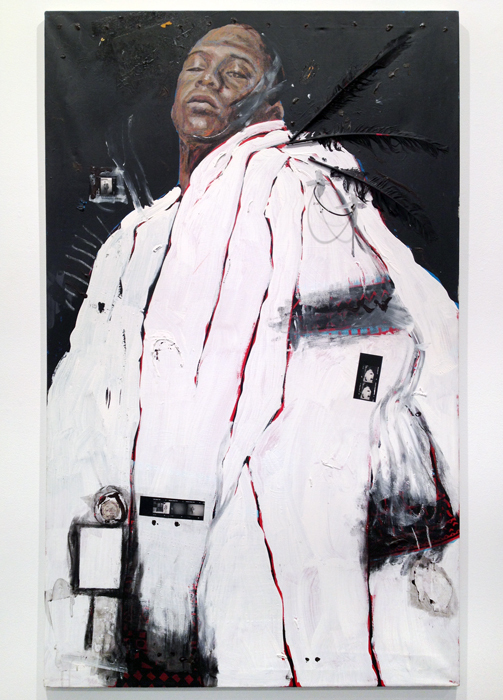 Smith has exhibited extensively, and his work is included in the collections of the Reginald Lewis Museum of African American History and Culture in Baltimore, the Portland Art Museum, the Regional Arts and Culture Council in Portland, OR and the Nelson Mandela Art Collection in South Africa. Concurrent with this exhibition, Smith's work is on view at the Portland Art Museum's APEX Gallery. Andy Warhol (b. 1928 in Pittsburgh, PA; d. 1987, New York City, NY) lead the Pop Art movement of the 1960s. 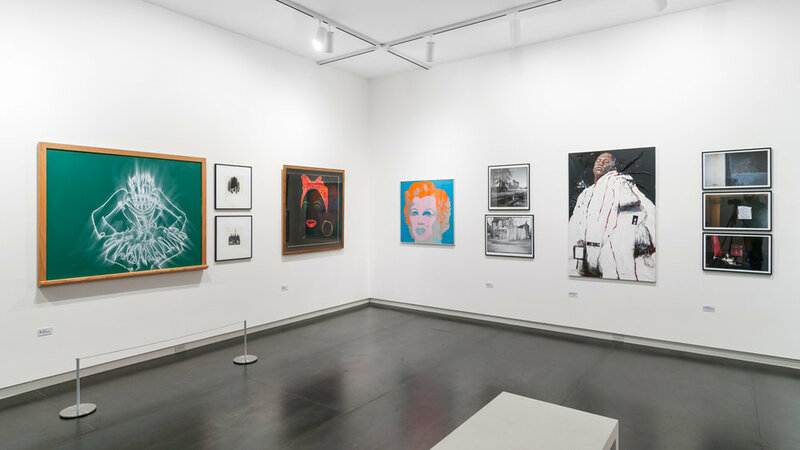 Working at the cross-section of visual art, advertising and celebrity culture, Warhol crafted a style that responded to and reflected media and popular culture. Many retrospectives of his work have been held around the world, and a museum devoted to the artist opened in Pittsburgh in 1994. Works on loan courtesy Dane Nelson, and courtesy John Goodwin and Michael-Jay Robinson. Damon Winter (b. 1974 in Elmira, NY) is a New York based photographer who specializes in documentary, editorial and travel photography. He received a Pulitzer Prize for Feature Photography in 2009 while with the New York Times for his photographs capturing many memorable images of Barack Obama’s first presidential campaign. Loaned from the collection of John Goodwin and Michael-Jay Robinson.